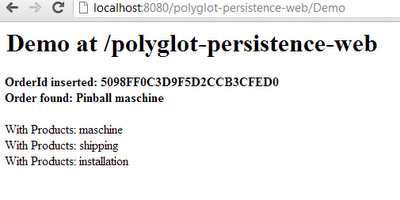 Polyglot persistence has been in the news since some time now. Kicked off by the famous Fowler post from end 2011 I see more an more nice ideas coming up. Latest one was a company internal student project in which we used Scala as a backend persisting data into MongoDB, Derby and Solar. I'm not a big fan of Scala and remembered EclipseLink's growing support for NoSQL databases. Given that I simply had to try this. The biggest issue are the missing examples. You find quite a bit stuff about how to change the data-containers (either NoSQL or RDBMS) with EclipseLink but you will not find a single one which exactly uses both technologies seamlessly. Thanks to Shaun Smith and Gunnar Wagenkrnecht we have this great JavaOne talk about Polyglot Persistence: EclipseLink JPA for NoSQL, Relational, and Beyond which talks exactly about this. Unfortunately the sources still haven't been pushed anywhere and I had to rebuild this from the talk.So, credits go to Shaun and Gunnar for this. The magic solution is called Persistence Unit Composition. You need one persistence unit for every data container. That looks like the following basic example. 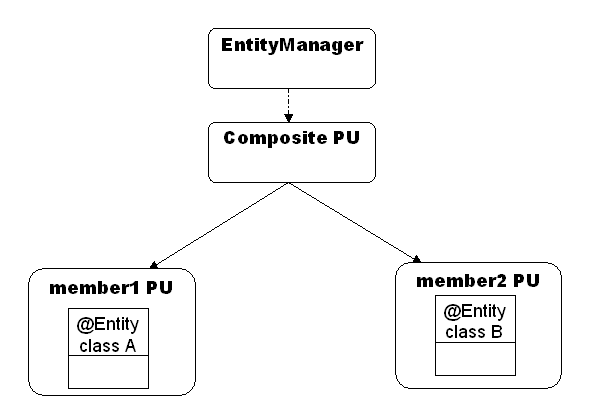 You have a couple of entities in each PU and a composite PU is the umbrella. You should have MongoDB in place before you're going to start this little tutorial example. Fire up NetBeans and create two java projects. 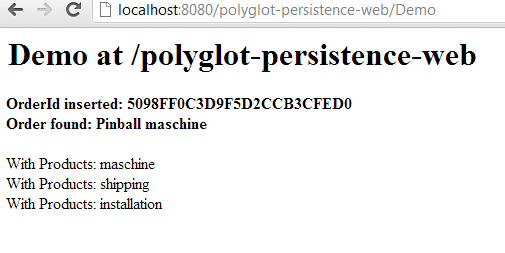 Lets call them polyglot-persistence-nosql-pu and polyglot-persistence-rational-pu. Put the following entities into the nosql-pu: Customer, Address, Order and OrderLine. 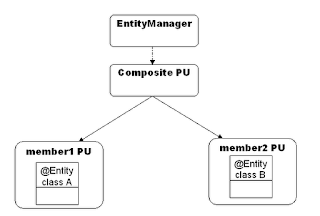 (Mostly taken from the EclipseLink nosql examples) and put a Product entity into the rational-pu. This is the point where both worlds come together. More on that later. Watch out for the jar-file path. We are going to package this in a war-archive and because of this, the nosql-pu and the rational-pu will go into WEB-INF/lib folder. As you can see, my example is build with maven. Make sure to use the latest EclipseLink dependency. Even GlassFish 3.1.2.2 still ships with a lower version. MongoDB support has been added beginning with 2.4. Don't worry about the details. I put up everything to github.com/myfear so, you might dig into the complete example later on your own. A couple of sequences are assigned to the created Product entities (GeneratedValue). 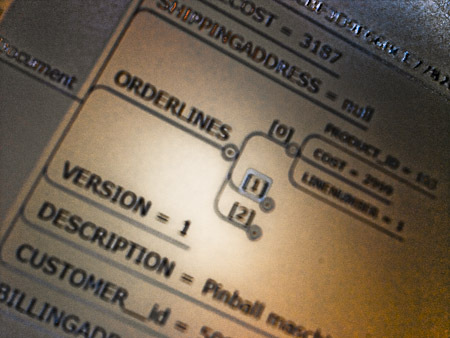 The Customer entity gets persisted into Mongo with a MappedInteraction. Entities map onto collections in MongoDB.